Trailhead: MM 27.5 Buckhorn Draw Rd. The Buckhorn Draw Dinosaur Track is located in the northern area of Buckhorn Draw within the San Rafael Swell between Green River and Castle Dale, Utah. 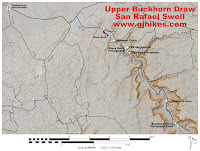 Buckhorn Draw cuts through the San Rafael Swell in a north/south orientation. The track is an impression that was made by a theropod or meat eating dinosaur. 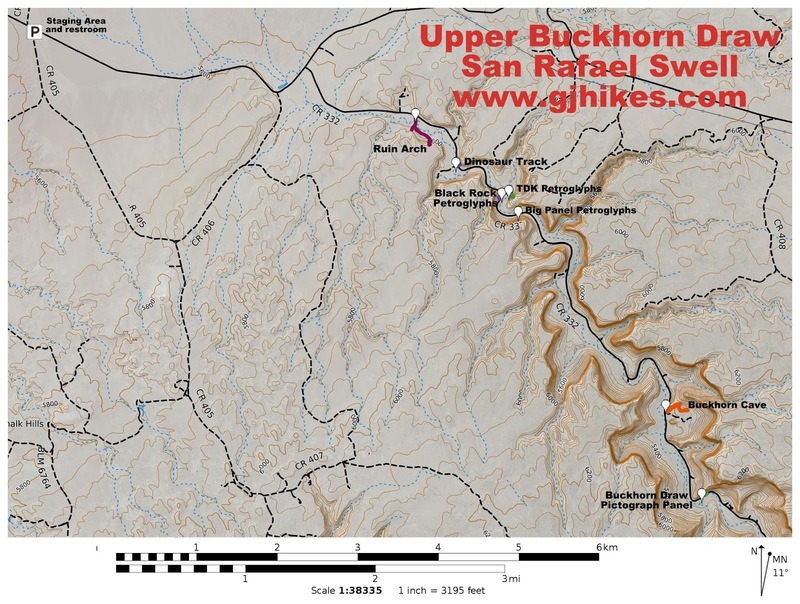 To get to the site take Exit 131 on Interstate 70, about 30 miles west of Green River, and measure 27.5 miles to a large pullout on the west side of the Buckhorn Draw Road. The dinosaur track is on a ledge across the road. A well worn trail leads up to the short bench from the road. Once on the bench continue following the trail back to the south a short distance to the track. At present there is a ring of rocks around the track. If this gets covered up for some reason then look for the track by searching the slickrock that is nearer the cliff than the edge of the bench. Be careful not to damage the track in any way. It is illegal to take a plaster cast of the track or do anything that may damage it. At this end of Buckhorn Draw the canyon is becoming shallower. After another mile or so the road leaves the canyon and travel continues across the flats. From that point there are many options using the various roads in the area. 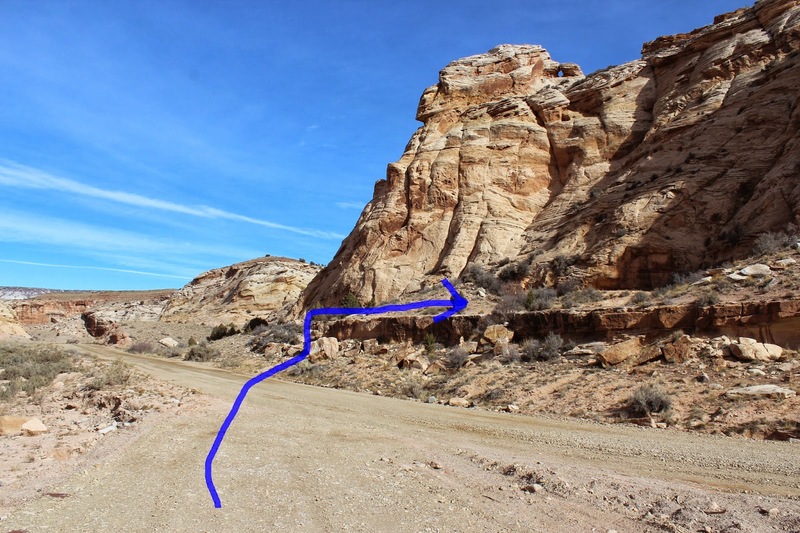 Travelers can continue on into Castle Dale, head over the the Cleveland Lloyd Dinosaur Quarry (which is only open 3 days/week and only seasonally so check their website for current information) or possibly take the Green River Cutoff Road heading east to Highway 191. The San Rafael Swell is a huge area with lots of hidden gems. If you would like to see it for yourself then all you have to do is 'Take a hike'.